On this remotest Arctic coast, 13000 workers are now building Russia’s new giant LNG plant, Novatek leader Mikhelson tells President Putin. ”The low temperatures are not the main problem”, Mikhelson told President Vladimir Putin in yesterday’s meeting in the Kremlin. ”The worst are the severe winds”, he underlined, a transcript from the president’s office reads. In his status update of the currently biggest industrial project unfolding in the Russian Arctic, the gas company leader presented a set of picture illustrations to the President. According to the Novatek leader, as much as three million tons of construction materials were delivered to the project site in the course of 2015. ”A total of 13000 people now work on site”, Mikhelson said, adding that the number will be increased to 18000 as the construction reaches peak time this summer. The number of companies involved amounts to 650, and they come from all over Russia, the Novatek leader said. 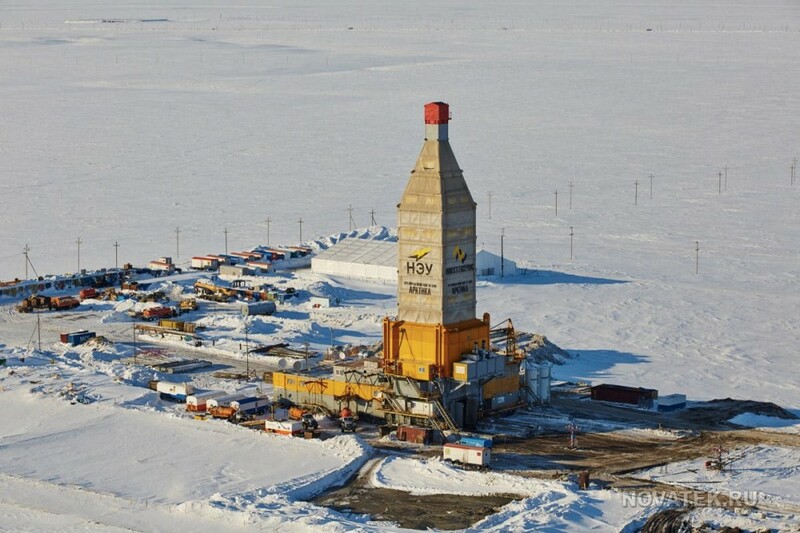 The Yamal LNG project is to launch production in 2017. When in full swing, the plant will produce an annual 16,5 million tons of liquified gas. The LNG will be shipped to buyers both in Europe and Asia, some of it along the Northern Sea Route. Two giant 160,000 cubic meter gas reservoirs are currently under construction and will surely be ready in time, Mikhelson underlined. The reservoirs are built with modules which are sent in pieces to the peninsula. Also the development of the nearby port of Sabetta is progressing. As much as 50 million cubic meters of the local Ob Bay seabed has been removed in extensive bottom dredging operations. Four of the Sabetta port landing piers are in operation and so is also the new local airport. A total of 130,000 passengers were in 2015 handled by the airport. The Yamal LNG project is operated by Novatek in cooperation with partners Total (20%) and CNPC (20%). Recently also the Chinese Silk Road Fund joined the project with the aquisition of a 9,9 percent stake. ”We have good partners”, Mikhelson said, adding that ”all of them do their best”. So far, a total of $15 billion of the project have been financed, of which $2,3 billion is from the Russian State National Wealth Fund and the rest from the shareholders. The Chinese have contributed with about $5 billion, while the French contribution is $3,7 billion, the company leader told Putin.